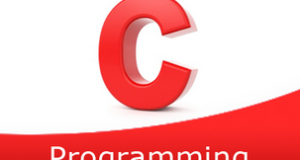 C program to sort even and odd elements of an array separately – In this article, we will discuss the numerous methods on how to sort even and odd elements of an array separately in C programming. As we all know, arrays are nothing but a basic sequential arrangement of a bunch of elements put together in any random fashion. Firstly, we need to enter the size of the array. In this case, we can see that the size of the array entered is 10. Later on, the elements of the array need to be entered. Read and store the array size into the variable n which is entered by the user. 2) Read and store the array elements in the array a using scanf statement and for loop and count the total number of odd numbers in the array. 3) Arrange the array elements in ascending order as follows. Compare the a[j] and a[j+1],if a[j] is highest element than a[j+1] then swap the both elements.Repeat this step until all iterations of j.
Repeat the above step until i<n-1. 5) Initialize k=0 and j=n-c.
a) If a[i] is even number,if k<n-c then place the even number at b[k++]. b) If a[i] is odd number,if j<n then place the odd number at b[j++]. 6) After 5th step, the array b contains even numbers from the index 0 to n-c-1 and odd numbers from n-c to n-1. 7) Move the array elements of b to the array a and print the array elements using for loop for(i=0;i<n;i++).